Peter Cavanaugh is a Partner with Cavanaugh & Quesada, PLC, a boutique law firm in Royal Oak, Michigan specializing in construction law matters. 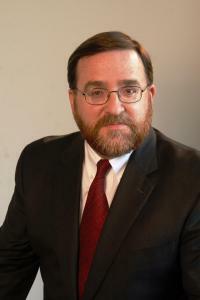 His practice is concentrated on business and construction law matters, including contract, construction lien and surety bond disputes. About half of his clients are contractors, subcontractors, engineers and equipment suppliers who work in the water and wastewater construction industry. Peter is an arbitrator a member of the Construction Panel of the American Arbitration Association. He is also an Adjunct Professor at Eastern Michigan University where he teaches construction law and writing. He also writes the blog – DWSD Update, in addition to Michigan Construction Law Update. In 2013, he was named a Top Lawyer in Construction Litigation by Business. Peter was born in Detroit. He attended the University of Michigan where he earned a Bachelor’s Degree in Political Science in 1986. He attended law school at the University of Detroit Mercy and earned his Juris Doctor in 1995. He and his wife (Joan) and three children live in Birmingham.